Open Atrium 2 is built on the Panopoly base distribution, with Organic Groups, and the Messaging API module. The theme is Radix. I haven’t had a chance to take if for a spin but I’ve been building sites with Panopoly and Radix theme for a few months. Seems like this is a good move for Atrium as a distro. 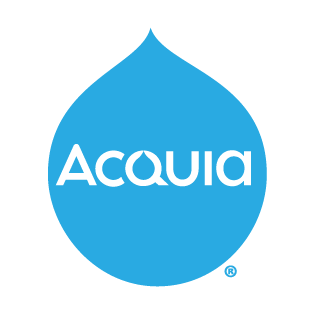 Always cool to see a highly visible company using Drupal. Not earth shattering or surprising news since Twitter already uses Drupal and is currently hiring a Drupal dev(see last week’s issue). If you would call yourself a Drupal site builder the Drupal Association needs you help. They are creating various landing pages to help communicate Drupal’s strengths and need a few folks for short user tests. Check out the post for more info. A followup post from Holly Ross regarding the hot drama about the Webinar from a couple weeks ago. In this webinar, Suzanne Kennedy from Evolving Web will walk you through a checklist of best practices for Drupal site building, including a list of default configurations that often need to be updated and pre-launch items that need to be updated before your site goes live. We'll also cover site building techniques to help your team maintain your site. Click here to register. Doug Vann shares his tips and tricks for a successful and fun DrupalCon. Chris Ruppel of Four Kitchens discusses frontend performance and using the Modernizr Drupal module to conditionally load CSS files(with BIG background images). Tim Deeson shares his experience organizing a DrupalCamp. A good read for anyone considering doing the same. We are a tightly knit agency in Amsterdam with 50 years of history and a strong vision for the future. Drupal is one of our most important tools, and we want another dedicated specialist to join our team.